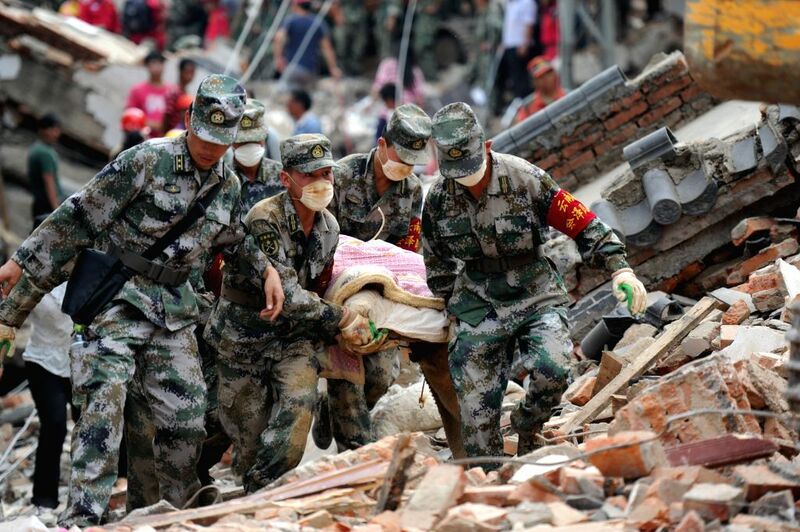 LUDIAN, Aug. 9, 2014 - Rescuers carry the body of a victim in quake-hit Longtoushan Town of Ludian County, southwest China's Yunnan Province, Aug. 5, 2014. 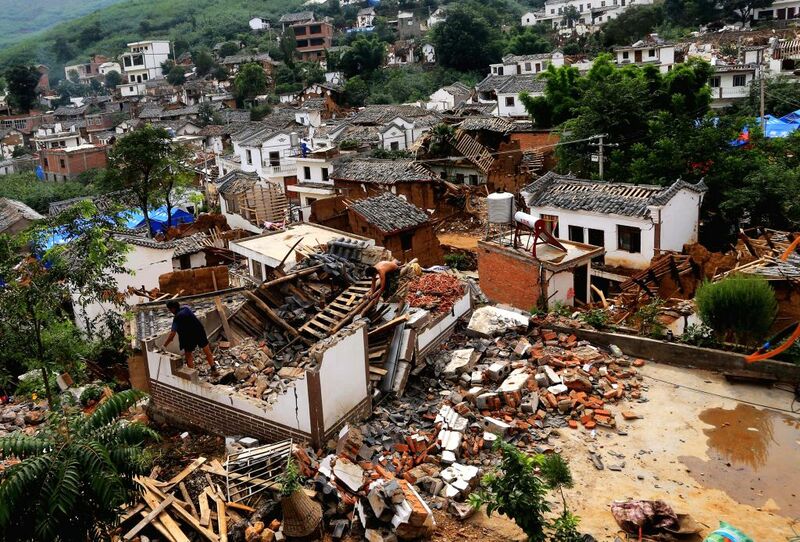 Villagers check their damaged houses in quake-hit Longtoushan Town of Ludian County, southwest China's Yunnan Province, Aug. 9, 2014. 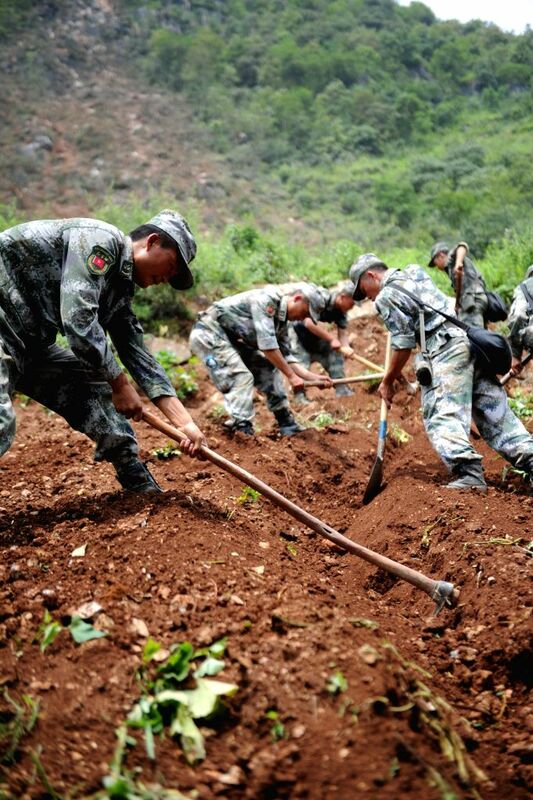 Rescuers dig a channel in quake-hit Pingdi Village of of Qiaojia County, southwest China's Yunnan Province, Aug. 7, 2014. 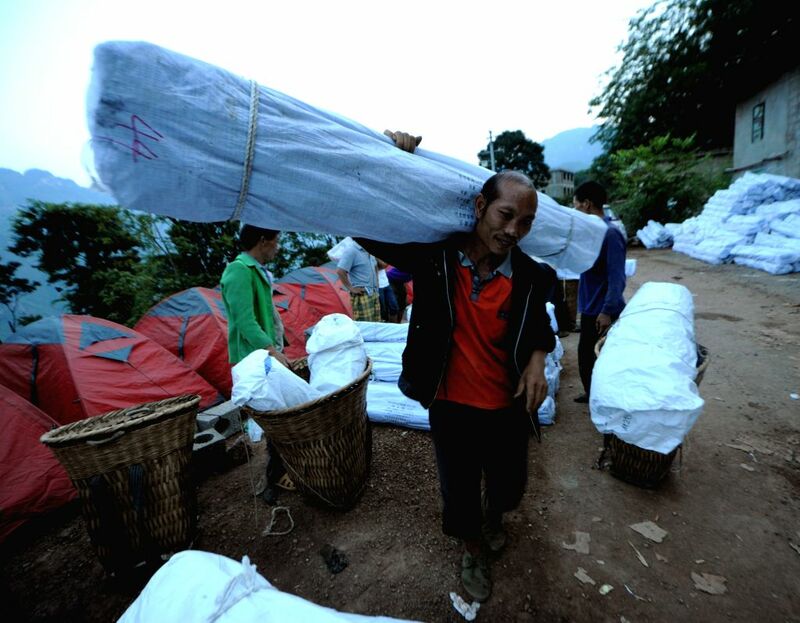 A man conveys relief materials in quake-hit Weigu Village of Qiaojia County, southwest China's Yunnan Province, Aug. 6, 2014.